Science at our school is an integral part of our cross curricular topic approach to learning. Alongside making links to all aspects of the world around them our learning approach enables and empowers children to respond with awe and wonder to the world around them. Scientific opportunities to ask questions and carry out scientific investigations forms the core to our approach. ensure all pupils are equipped with the scientific knowledge required to understand the uses and implications of science, today and for the future. We also ensure that at least one cross curricular topic across each year group has Science as its core focus alongside making links to the world around them. These include investigating and learning about “Electricity and other inventions that have changed our world”; “Travel including looking at the Planets and how space travel is developing across time” and “Caring for Animals and understanding how each one develops and survives”. Studying the natural world around us forms a core aspect of our Science curriculum utilising our extensive 17 acres of land and natural woodland which the children utilise for learning in Science and through our unique outdoor learning programme and Forest Schools teaching and learning each and every week throughout the year. 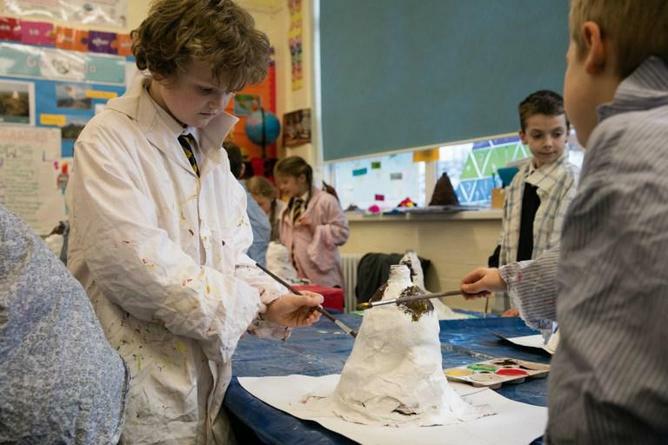 We believe learning takes place both indoors and outdoors and as such our Science work is often taken outside through weekly lessons and trips and visits to our local and wider community.